We live in a time where our human nature – who or what we are – is understood to threaten the place we inhabit – nature itself. Whether we are destroying the rainforests or building sustainable communities, we can’t stop making ourselves central to the current environmental ‘crisis’. This conference will be an exploration of this‘crisis’ in our relationship with the environment. 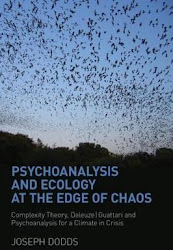 Drawing from a range of philosophical and psychoanalytical approaches, this conference will suggest that there might be better and potentially more liberatory ways to understand the current catastrophic relationship we have with the natural world. Sitegeist, The Site journal is devoting its Spring 2012 edition to environment and psychoanalysis. This will be available at the conference and will include some of the papers presented on the day, as well as other thought-provoking contributions. The Site runs a UKCP registered training in clinical psychoanalysis in both Cornwall and London.